The chaotic scene after the shooting which left some 50 people dead. 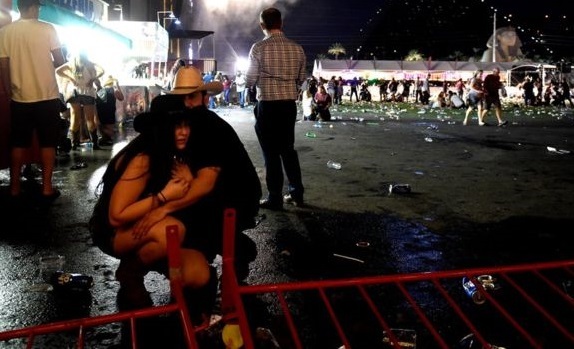 LAS VEGAS: More than 50 people have been killed and hundreds injured in a mass shooting at a Las Vegas concert. 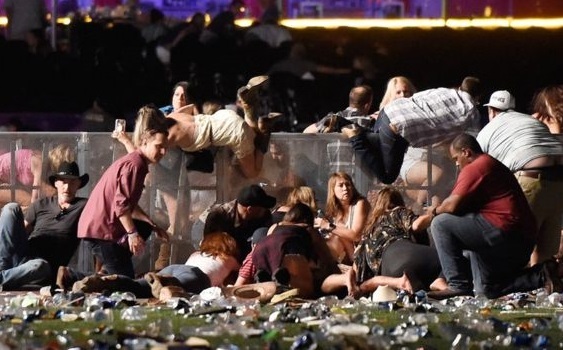 A gunman, named as 64-year-old Nevada resident Stephen Paddock, opened fire from the 32nd floor of the Mandalay Bay Hotel towards an open-air music festival attended by 22,000. Police say he killed himself as officers stormed the room where 10 guns were found. US President Donald Trump tweeted his “warmest condolences and sympathies” to the victims and their families, and called the shooting “terrible”. Sheriff Joe Lombardo described the shooting as a “lone wolf” attack and there was no information about Paddock’s motives. “We have no idea what his belief system was,” he said. A woman thought to have been travelling with the gunman before the attack, Marilou Danley, has now been located outside the country, Sherriff Lombardo said. A police statement said the shooting began at 22:08 local time on Sunday (05:08 GMT on Monday). 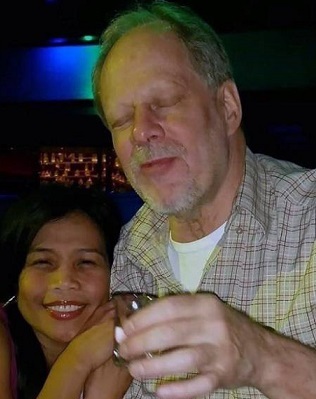 Paddock came from Mesquite, some 60 miles (100 km) north-east of Las Vegas, and had resided in the hotel since 28 September. Police say at least 200 people were injured. Fire officials said 406 people were taken to hospital.